Researchers at the University of Minnesota (UMN) have developed a prototype for a 3D-printed scaffold with living cells that could help restore some function to patients with spinal cord injuries. 3D printed spinal scaffold. Photo via the University of Minnesota. In a report titled “3D Printed Stem-Cell Derived Neural Progenitors Generate Spinal Cord Scaffolds”, the researchers demonstrate the process and benefits of a bioprinted scaffold made from silicone and stem cells which can be placed within a patient’s spinal cord. This device would be surgically implanted into the injured area of the spinal cord where it would serve as a type of “bridge” between living nerve cells located around the injury. Over the past two years, UMN researchers have been developing this process. It allows researchers to use any kind of cell from an adult, then by using new bioengineering techniques, the researchers can reprogram the cells into neuronal stem cells. Then with 3D printing technology, the engineer can print these cells onto the silicone base. The device keeps the cells alive, allowing them to change into neurons (a nerve cell). 3D printer used by the University of Minnesota. Photo via the University of Minnesota. 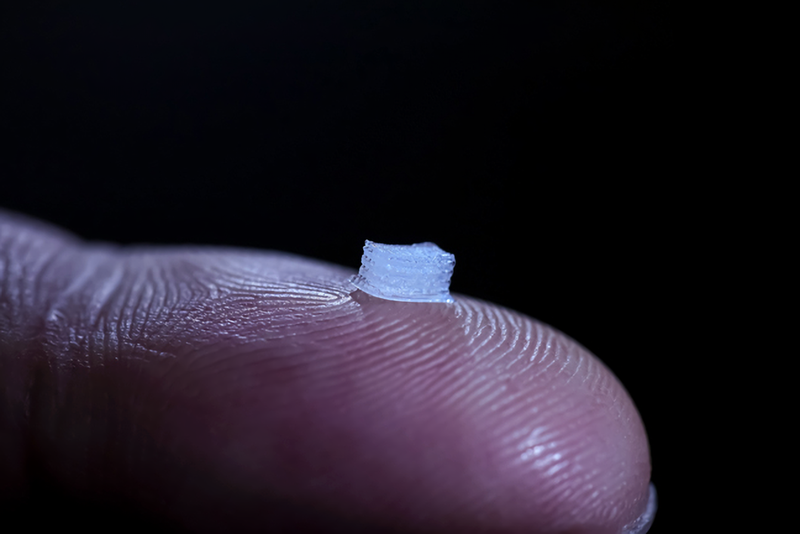 This prototype marks the first time anyone has been able to directly 3D print neuronal stem cells derived from adult human cells on a 3D printed guide and have the cells differentiate into active nerve cells in the lab. The report notes that currently there are about 285,000 people in the United States who suffer from spinal cord injuries, with about 17,000 new spinal cord injuries nationwide each year. Parr also mentions that many of the overlooked concerns held by those with spinal injuries are the lack of control over their bladders and certain muscles. The researchers hope that this project will help alleviate pain as well as regain some of those functions. Parr believes that this project will help improve the quality of life for those affected by spinal injuries, even if it doesn’t fully restore their movements. 3D printed cell scaffold process. Image via the University of Minnesota. 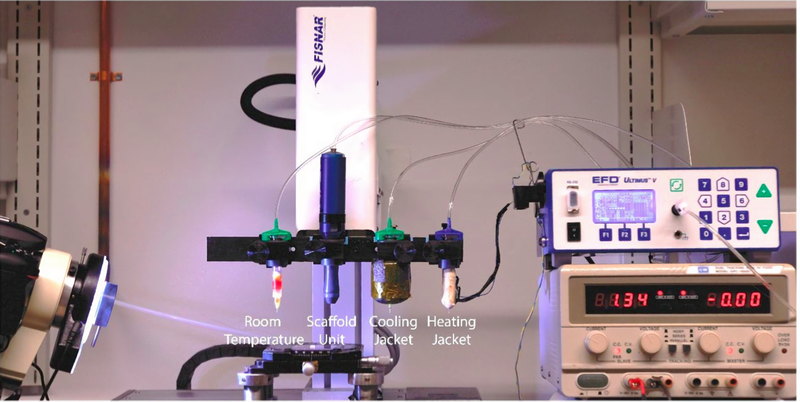 Several universities have also been developing 3D printed scaffolds for the treatment of damaged nerves and cells, such as the University of Saskatchewan. The university’s Tissue Engineering Research Group has made progress with using 3D printed tissue scaffolds to repair damaged nerves connecting the spine and the brain. Similarly, the University of Southampton has done research into the use of 3D printed scaffoldings as a habitable environment for stem cells, and biodegradable containers for controlled drug delivery. Want to stay up to date on 3D printing news like this? Then sign up to our 3D Printing Industry newsletter. You can also follow us on Twitter, and like us on Facebook. Sign up and post on3D Printing Jobs to explore new and exciting opportunities near you. Featured image shows the 3D printed spinal scaffold. Photo via the University of Minnesota. Brian Lord was a journalist for 3D Printing Industry. Originally hailing from Miami, he moved to the UK where he graduated from the University of Stirling with a Bachelor's degree in History & Media. In the past he has conducted and transcribed interviews for his own personal blog.